Bryan Ewing has signed an AHL contract with the Penguins’ farm club in Wilkes Barre-Scranton where he’ll be reunited with ex-Terrier All-American goalie John Curry, last year’s AHL All-Rookie goalie. Ewing enjoyed his best season as a Terrier in 2007-08 with 43 points (and 108 for his career) earning second team RBK All-American and second team Hockey East all-star honors. He also was the Hockey East scoring champion with 35 points. 2009 recruit Ethan Werek, who formed a two-man wrecking crew with incoming freshman Corey Trivino for the Stouffville Spirit last season, made this week’s Hockey News Hot List. Werek will spend his final junior season in the USHL will the Indiana Ice where he’ll find himself battling future teammates Max Nicastro (Chicago Steel) and Sean Escobedo (Tri-City). During last week’s Little League World Series, won by Hawaii, nhl.com asked Chris Drury to look back at his experience on the mound in Williamport in the 1989 championship game, when he pitched Danbury, Conn., to the title--and the path that led him to a national championship at BU, the Hobey Baker Award, the NHL and The Stanley Cup. Trivia question: Drury (video) is the only NHL player to win a Little League championship, but two other NHLer played at Williamport in the World Series. And, they played for the same Canadian team. Who were they? Whenever incoming freshman defenseman David Warsofsky talks to the media, he knows the question about his size (5-8, 170) will be forthcoming. So, too, are the comparisons with former Wisconsin All-American and Stanley Cup champion with the Devils and Red Wings Brian Rafalski. A Boston Globe feature on the Marshfield native—godson of Mike Sullivan’s parents and fourth round draft choice of the St. Louis Blues—also focuses on the exceptional offensive skills that have led some observers to predict he’ll have the most impact on the 2008-09 Terriers of any member of the recruit class that includes four scholarship forwards. Comments from Blues Assistant General Manager Jarmo Kekalainen, independent scout Kyle Woodlief, NTDP U18 Coach John Hynes and Terrier Head Coach Jack Parker point to success at the college level followed by a pro career. David was our team captain here last year and led our team to a Bronze Medal in the World U18 Championships. He is a very skilled player and a very coachable player. He is a very good backwards skater and has the ability to close gaps quickly in defensive situations. David has a great head for the game and distributes the puck well on offense. David needs to continue to gain experience at the college level. He has all the tools mentally and physically to be a great player for BU and beyond. The biggest thing he needs is time to develop and continue to work hard with his God-given talent. Warsofsky is small, but he has excellent mobility, an excellent stick, and he sees the ice uncommonly well. He can thread the needle with his passes – a high number of them are exceptional. He has poise a-plenty. He’s just a fun player to watch. McKeen’s Vincent Montalbano offered these thoughts on Warsofsky following the draft. Committed to Boston University for 2008 .. despite lack of size (5-9) he is an extraordinary player with exceptional skill, especially on the powerplay .. a smooth skater with a strong stride .. tremendous vision and really moves the puck up the ice well .. tremendous patience and poise with the puck and hockey sense .. great one-timer with rocket of a shot and accurate, especially on the PP .. has a pro-like shot and may have the best shot for someone his age or even older .. finds open areas on the PP for good shooting lanes .. can be physical if needed and strong along the boards .. logged a ton of icetime .. has the ability to shake checks with his quickness and stick skills and ability to take hits and keep going. Warsofsky is a small, smart defenseman with quick feet. He has good speed jumping into the play and a big shot from the point. At his size, he needs to take better care of the puck and continue to get stronger, but overall, he comes to play and plays bigger than his size. An excellent pick by the Blues and if he was even 5-11, he probably would be a first or second round pick. He is extremely talented and playing at Boston University will really help his development. He tallied 32 points (nine goals, 23 assists) in 48 games last season. Sophomore forward Nick Bonino just may have set a BU record by tallying his first career point—assisting on a Boomer Ewing goal— just 17 seconds into his first college shift. He went on to record an impressive 16-13-29 line with the most goals by a Terrier freshman since Jay Pandolfo’s 17 in 1992-93. Scoring has always come naturally to Bonino. The Farmington, Conn., native led his high school in points, then transferred to Avon Old Farms as a repeat junior and also led that team in scoring (26-30-56). He was the top scorer and co-MVP of 2006 Spring (Scholastic) Hockey Night In Boston and #2 scorer in the 2006 HNIB Major Showcase (14-19-33). As a senior, he captained Avon to the 2007 NEPHISA Div. 1 Championship, again leading the Winged Beavers with 23-43-66, finishing 3rd among all New England preps and earning U.S. Hockey Report’s Prep Forward of the Year award by a comfortable margin. In the 2007 NHL entry draft, he was selected by San Jose in the sixth round. Bonino recently took part in our Q&A interview series. Q—Freshmen often take a while to adapt to the speed of the college game. Was there a fast or slow learning curve for you? A— Personally, it was more of a slow learning curve my freshman year. Coming in I knew how fast and strong the older players would be, but I was still surprised when I skated with the team that first time. It was much more physical than anything I had ever played, and it definitely took some time to get used to. Q—Do you have a most memorable moment of your freshman year? A— The winning streak at the end of the year really sticks out in my mind as my favorite memory of last year. The Cornell game [at Madison Square Garden] was definitely exciting, and the Beanpot was a fun experience despite the loss, but winning all those games down the stretch brought a different atmosphere to the locker room. Everyone seemed so excited, and we were playing great hockey. Q. You’ve played center and left wing for BU. Which position do you think is your strongest and where do you feel most comfortable playing? How do you see your role in the team’s offense? A— I think I'm strongest at center, although I felt like I played well at wing last year during the couple of games I was there. At center, I get to touch the puck more, and I like being able to gather speed while moving, instead of from a stand-still on the wing. As for my role in the team's offense, I believe with the amount of offensive talent this team has it makes my role so much easier. It's much easier to produce points when you are playing with such talented players, including both the forwards and defensemen. Q—You arrived at BU with a reputation for having great hands, but needing to improve your skating. While the improvement was during the season was evident, do you expect to be able to ratchet it up even more, working with Mike Boyle? A— I think so. Coach Boyle helps out so much in the off-season, and the amount of guys in the pros that work out with Boyle is a testament to that. So far I believe I've made some good progress, but it will never be enough, and I'll have to keep working at it. Q—Besides foot-speed, what else are you working hardest to improve? A-- Mostly everything. I'm working hard to get bigger, stronger, and faster, and that happens in the weight room and on the track. Besides that, I try to work on my shot and my hands as much as possible, either getting open ice somewhere or shooting on goalies at camps in the area. Q—Most observers cite your stick-handling ability as one of your strengths. Have you had to make any adjustments to your stick-handling to meet D1 competition? Can you do the same things as you did in prep/HNIB? A— I have had to learn how to better protect the puck at this level, so my stick handling did have to adjust slightly to the college game. I didn't focus on it as much as my skating, however, because my hands seem to adapt quicker than other parts of my game. Q--You were an early addition to the penalty-killing corps which is somewhatunusual for a freshman. What makes you a solid PK guy? A-- I think it's my ability to anticipate where the puck will be, and I try to get there before the puck arrives. I was playing alot on the PK with Higgins, and I think it was easier because we both felt comfortable with each other. Q—After earning co-MVP in the 2006 Spring Hockey Night in Boston event, you became a hotly pursued prospect. What led you to choose BU over Providence and New Hampshire? A— It was a combination of things. The coaching staff at BU is incredible, and during my freshman year they lived up to their reputation. I remember when I was young I would always watch the Beanpot, and this played a part in my decision. Basically, BU is a great school with a rich hockey tradition, so I felt it was the best choice to make. Q—Have you patterned your game after a pro or college player? A— I wouldn't say patterned, but I definitely like to watch the NHL guys and take a few things from their game. I really enjoy watching Joe Thornton and Pavel Datsyuk, as each of them can control a game. You can learn things from really any pro, as well as fellow college players, so it's beneficial to watch the games when they're on TV and take things away from what you see. Q—You recently attended San Jose Sharks Development Camp along with senior John McCarthy. Tell us about that experience and it will make you a better player. A— It's a great learning experience for me personally, as the management, coaches, and scouts who run the camp have so much knowledge of the game. It's completely a development camp, and they stress that no one is being judged or rated. Instead, they encourage us to focus on the skills they are teaching, and this makes it much less nerve racking. The skating coach there is great, and I take alot of drills back from camp and work on them when I can. Q—As an organization, San Jose tends to encourage its NCAA draft picks to develop in college. Have you discussed future plans with management? A— Not at this point, and personally I don't think I'm ready. I'm very happy where I am, at BU, and I look forward to playing college hockey. "The average fan notices how exciting and electrifying Chris is on offense, but the fans who understand the subtleties of the game recognize how solid and dependable he is defensively." Nashville GM David Poile, assessing his top prospects, also points to versatility in sizing up Wilson, his first round draft choice in the 2008 NHL entry draft. instincts and he's shown that. He's a guy that can play defensively and he's shown that. He has good size. He'll be a big, strong center, which is something we have been coveting." With the Summer Olympics in full swing in Beijing, Sports Illustrated projects who will make the U.S. Olympic hockey team in 2010, including three Terriers: Rick DiPietro, Chris Drury and Ryan Whitney. You might think there’s a fourth on the list , but it’s the “other Chris Higgins.” For now, however, Whitney will be sidelined, recovering from surgery to repair a chronic left foot problem. The Hockey News is doing a fan poll on college and pro team logos. You can add your vote for Rhett and also check out what Northeastern and Lowell skaters will be sporting this season. Finally, forty years ago next month, a Terrier made Olympic history, but it was in track and field. David Hemery, a 400-meter hurdler for the U.K., continued a hot streak that began in conference and NCAA meets during his senior year by setting a world record of 48.12 seconds at the Oympics in Mexico CIty. Four year's later in Munich, he won a bronze medal in the same event and a silver in the 4x400-meter relay. 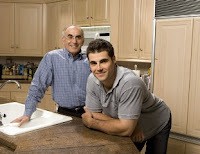 Former Terrier goalie and NHL All-Star Rick DiPietro’s close relationship with his father, was the subject of a feature article in Player’s Club, a new magazine launched by former New York Met and Philadelphia Phillie Len Dykstra, that caters to professional athletes and focuses on fiscal responsibility. Rosters for this summer’s recently concluded Select Hockey Festivals for 14, 15, 16 and 17 year olds, included a number of skaters with connections to BU. Taylor Craig, daughter of former BU All-American goalie and 1980 Olympic gold medal winner Jim Craig, tied for top scorer at the Girls Select 16. 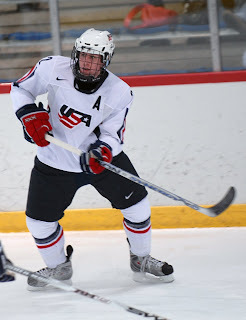 At the Boys’ Select 16, Charlie Coyle, a cousin of Tony Amonte, tied for fifth in points with five goals in five goames, and earned kudos from U.S. Hockey Report. Coyle, who will be a sophomore at Thayer Academy (where Amonte is a coach), also skated with the South Shore Dynamos in the 2008 Chowder Cup. One of his Dynamos teammate was Tom O’Regan, Jr., son of former Terrier captain and Pittsburgh Penguins, Tom O’Regan. Both Coyle and O’Regan, who will play for St. Sebastian’s this season, are playing in the Futures Division of the Summer Beantown Classic, beginning on Monday. The senior O'Regan coaches the South Shore Kings' U18 squad in the Mass Select Midget League. Two players at the Boys’ Select 15 have Terrier connections. Defenseman Matthew Caito, representing the Los Angles Selects, is the son of former BU football player Paul Caito and has two aunts who played field hockey at BU. His grandfather, Tom, was a legendary football coach at Chelmsford H.S. Forward Cameron Brown, who led the Rivers School in scoring as a freshman and was a Eberhardt Division ISL All-Star, is the younger brother of BU soccer standout Casey Brown. Cameron also plays for the South Shore Kings. 2009 recruit Max Nicastro's summer has been a busy one. Besides attend the NHL Entry Draft, being selected in the 3rd round by Detroit (#91 overall), going to dinner with Scotty Bowman and attending Detroit's development camp, the right-shot defenseman participated in NARCh North American Roller Hockey Championships in San Jose as member of the regional champion Las Vegas Tour Rebels. Nicastro begins his second USHL season next month with the Chicago Steel. The Hockey News is conducting a fan poll to determine to best college logo in each of the Division I hockey leagues. You can vote here. A new addition to our sidebar list of Web sites is "In Ahead of the Play," a compilation of each NHL team's top prospects. Profiles are being developed for each prospect and, thus far, the profiles for both Kevin Shattenkirk and freshman Andrew Glass have been posted. The CSTV Web site is now called CBS College Sports. Both U.S. teams lost their games on Friday at U.S Junior National team camp. In Team White’s 7-3 loss to Sweden, Kevin Shattenkirk (photo) and Vinny Saponari (photo, right) assisted on a powerplay goal by Wisconsin’s Ryan McDonough. On Saturday, the two U.S. squads rebounded for a pair of wins. In Team White’s 5-2 win over Finland, Saponari scored twice, assisted by Shattenkirk on the first. Shattenkirk also picked up an assist on the first of three goals by UNH forward James Van Riemsdyk, Shattenkirk’s former NTDP U18 teammate. Team USA’s roster for the World Junior Championships will be named in the late fall. In addition to the four Terriers who impressed at the camp and Colby Cohen, who was sidelined by an ankle injury, incoming freshman Corey Trivino is a candidate for Canda's WJC team. In an NHL.com feature about the Islanders’ youth movement, the assistant general manager discussed his hopes for Corey Trivino. Taken with one of the Isles' three 2008 second-round picks (No. 36), Trivino had a sensational season with Stouffville of the Ontario Provincial Junior Hockey League, totaling 50 assists and 69 points in 39 games. He also had four goals for the Canadian team at the Under -18 World Championships in April. But the 6-1, 170- pound center will take a big step up the competitive ladder this fall when he plays for Boston University. "We love Corey's skills and speed," Jankowski said. "It's going to be difficult for him going into Boston University next year. … The biggest thing for Corey is he has to get bigger and stronger. He, more than anyone else we drafted, has to add strength. He's got a good frame to grow into. The message we're going to give to Corey is to go there and be a sponge. Develop your game but bring the offense you have and be confident in your own abilities." 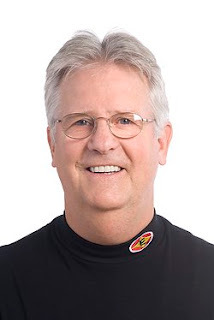 Steve Stirling, captain of BU's 1971 national championship team and former NY Islanders coach, has become head coach of the Iserbohn Roosters of the German DEL. Stirling's team opened the season with a 9-1 win. On July 25, we reported that Stirling, (photo) who coached the Lightning’s AHL club, Norfolk, last season, had been named an amateur scout for Tampa Bay; he has left the NHL club to return to coaching. Among them is winger John Laliberte (Saco, Maine/Boston University), who has inked a one-year deal in Denmark with the Odense Bulldogs. For Laliberte, who has seen AHL time with Worcester and Milwaukee, it all boiled down to opportunity, something he didn’t feel he’d get if he went back to the Admirals. We also reported recently that former Terrier captain Carl Corazzini had signed with Edmonton’s Springfield Falcons AHL team. In an NEHJ feature, he reflects on his professional career and his changing role. Four Terriers are participating in the U.S. Junior National Team Evaluation Camp in Lake Placid: forwards Colin Wilson and Vinny Saponari and defensemen Kevin Shattenkirk and David Warsofsky (photo courtesy USA Hockey). Blueliner Colby Cohen had been invited to camp, but had to skip it due to an ankle he tweaked at Colorado Avalanche development camp. Camp media guide. In an intrasquad scrimmage, Wilson registered a goal and an assist, and then got the better of a dust-up with Michigan recruit Greg Pateryn (see series of five photos from USCHO’s Melissa Wade, beginning here). In games against teams from Sweden and Finland, several of the Terriers stood out. Wilson assisted on two Ryan Bourque goals in a 4-1 win against Finland. Warsofsky scored on a one-timer (video, first goal) in a 3-2 loss to Sweden. Warsofsky also scored on an end-to-end rush in a 7-1 win over Finland. NHL.com’s Shawn Roarke, covering the WJC camp, reports that Coach Ron Rolston had used the defensive pairing of Shattenkirk and Wisconsin’s Ryan McDonough as his shut-down pairing in the first two games. Freshman left wing Andrew Glass, one of five first-year BU players drafted by NHL teams, was Washington’s 7th round pick in the 2007 entry draft. Last season, as a senior at the Noble & Greenough School in Dedham, Mass., Glass recorded a 27-23-50 line in 29 games, fourth best goals total in New England Prep hockey. That performance earned him a spot on the NEPSIHA All New England first team. The 6’0”- 175 lb. Glass has skated in three national select festivals, played several seasons for the Junior Bruins organization and was named “Best Pro Prospect” at the 2006 Beantown Classic. He recently answered ten questions for the second of our Q&A interviews. Q—Let's start by looking at your game. We've seen scouting reports that cite your strong skating and puck skills. McKeen's liked your "ability to execute at full-speed." What are your strengths and what can BU fans expect from you? A—The strongest part of my game is skating. I feel I am more of a playmaker than a scorer, and look forward to bringing that part of my game to the team. This year should be a lot of fun. Q—What facets of your game are you looking to improve? weight for the season, and hope I can become an impact college player. Q—In 2006, you were drafted by the USHL Columbus Jr. Blue Jackets, but elected to remain at Nobles, also playing with the Little Bruins. Tell us about that decision. Were you tempted to switch to the top junior A league in the U.S., as some prep players do? A—I really had no interest in playing in the USHL. Nobles was a great opportunity for a strong education for the future. The level play, in my opinion, was top-end hockey. We had some great teams, and my coach, Mr. Day, is one of the best coaches in allof the prep league. I do not regret staying at Nobles, I had a great prep school experience. Q—What do you expect to be biggest challenge in stepping up to the next level? A—Clearly the speed and strength factors. The college game is fast-paced, everyone can skate and make a play. I'm excited to play this year with some great players, and hope to become an impact freshman. Q—How was your second Caps development camp experience (video interview)different from last year's and how have attending the camps helped your development? A—Last year I was real nervous about going into the camp. This year I was still nervous, but more excited. I knew what to anticipate. The level of play was intense and all of the players were extremely skilled. Each game I feel I got better, and used the experience to talk to the coaches and learn what I need to work on to get better. The camp was a perfect way to start off the summer in preparing for this year at BU. Q—Why BU? What factors prompted your choice? A—I'm from the Boston area, so I grew up coming to BU games and idolizing guys like Chris Drury. The coaching staff really prompted my choice. They made me feel like I had a real opportunity to have a great college career playing for BU. Q—Have you patterned you game after Drury or another player? A—I have always like the way he has played. He is known for his tenacity on the ice, which I consider one of my best traits. He is known for being a clutch performer, scoring goals in key overtime games. He has remained one of the best players in the NHL, and I like to learn from the way he plays the game. Q— In 2006-07, injuries limited your icetime and production? Did that experience make your standout senior season at Nobles especially satisfying? A—My junior year was really disappointing. The season was dictated by one injury after another. Over the summer, I rededicated myself to off-ice training and got in the best playing shape I could for the season. Going my whole senior year without getting injured once was extremely satisfying, and I hope to continue my streak of good health throughout college. Q—You'll probably face BC goalie John Muse, your former Nobles teammate, more than a few times this year. Do you know how to beat him? A—John Muse is a great kid. After playing with him for three years at Nobles, he is a good friend of mine. I'm just looking forward to playing him on the ice, and if I can get one by him it will definitely be pretty satisfying. He is a great kid, a great goalie, and will be a challenge every time we play BC. Q—What are your early impressions of your new teammates based on informal skating with the team this summer? A—All the freshman guys are good kids. Taking summer classes and skating during the week have allowed us to get pretty close. I think we have a great freshman class coming in this year, and should be impact players for the team. Earle Leeder, a longtime supporter of Terrier hockey and member of The Friends of BU Hockey, passed away on July 29, as a result of injuries sustained in an auto accident. Kelley noted that he’d invited Leeder to join him and many former players this past February when a bust of the legendary coach was dedicated at Agganis Arena, and that Leeder has been most appreciative to be included in the celebration. The Leeder Family has indicated that remembrances may be made to Friends of B.U. Hockey, 925 Commonwealth Avenue, Boston, MA 02215 or a charity of your choice. Online Guest Book.